The Apart VINCI8S active subwoofer with high power amplifier is designed to reproduce a fat and deep bass at moderate sound pressure levels. Due to its discrete design and small dimensions, the subwoofer is very easy to integrate even in the most demanding environments. It is needless to say that VINCI8S is the perfect match for the Apart VINCI4 & VINCI5 bookshelf speakers or the VINCI7 prestigious cabinet loudspeakers. This combination is the ideal sound system for retail stores, shops, and restaurants or meeting rooms. 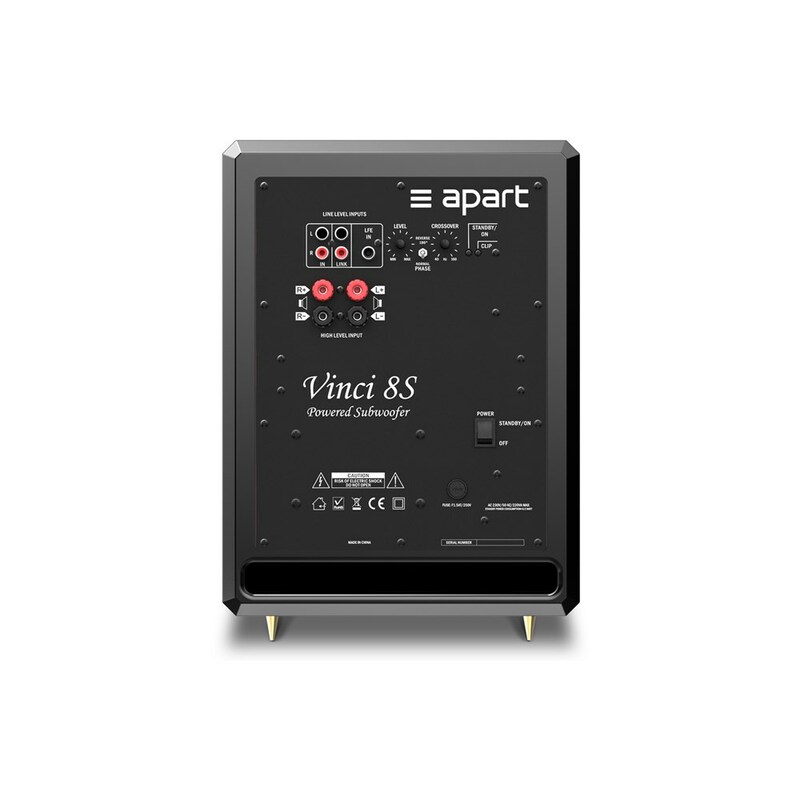 Of course in residential applications VINCI8S is a great audio solution as the subwoofer is compatible with most home cinema systems and AV receivers. At the back of the subwoofer an adjustable crossover frequency and level control potentiometer is available for optimal blending of the VINCI8S with the main loudspeakers. You can also set the VINCI8S in energy mode what makes the subwoofer switch off to standby mode automatically after a few minutes without any signal present at the inputs. 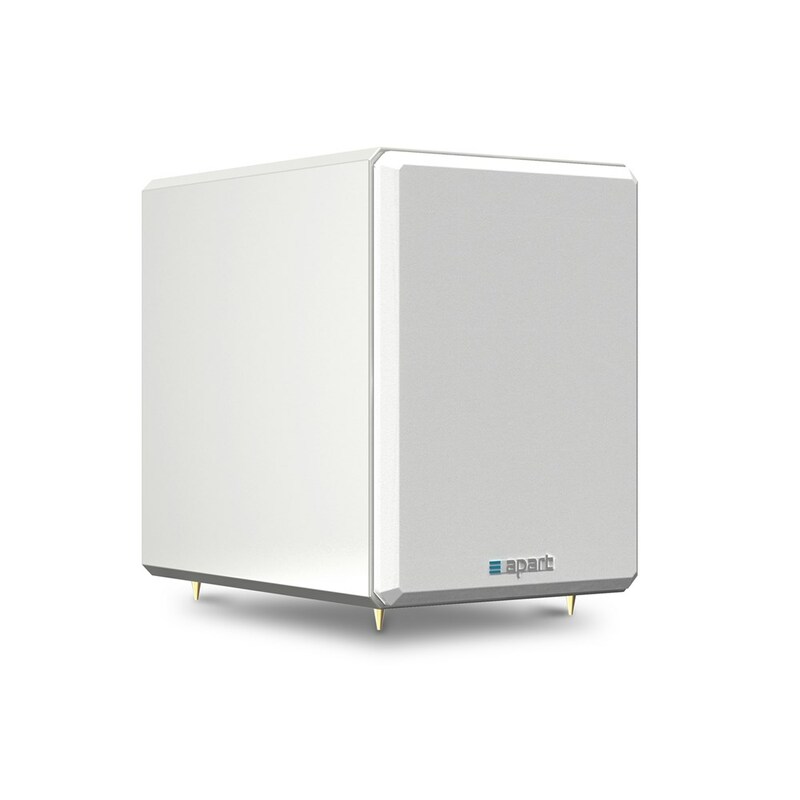 In standby mode the subwoofer has a power consumption of less than 0,5 watts! VINCI8S has a bass reflex speaker design with an 8” long throw woofer. The cabinet is made of MDF with a high gloss paint finish. Typical for all VINCI products, the VINCI8S also has a magnetic removable grill. Furthermore the VINCI8S is supplied with both rubber feet and spikes allowing perfect and optimized installation and sound quality.